Attending one of the best restaurant management conferences can give you tips on how to treat your employees, more effectively run your restaurant and even find new supplies. Some events function more like trade shows and let you mingle with those selling restaurant wares, but you’ll also find events that include workshops and training seminars for managers like yourself. Many of the conferences take place right in the United States. Thousands of restaurant managers will head to Scottsdale, Arizona this year for the annual Restaurant Leadership Conference. Scheduled for April 9-12, 2017, it will feature dozens of workshops, lectures and classes. More than 2,000 attend this conference. You’ll learn tips on how to help your business grow, how to reach more customers and even how to use social media to build up your customer base. Sponsors and suppliers will also be on hand to discuss some of the packaged foods that you can use to bring down your food costs. The Restaurant Facility Management Association puts on an annual conference. Even if you are not a member, you can still sign up to attend. The official website includes prices for both members and non-members as well as discounted prices for those who register in advance. Held in Orlando, Florida at the Gaylord Palms Resort & Convention Center, it will include exhibitors set up in one hall. Those exhibitors sell products designed for restaurant and commercial use. You can also attend lectures given by restaurant managers and owners. One of the top American restaurant management conferences might be the National Restaurant Association Conference. Scheduled for May 20-23, 2017 in Chicago, Illinois, it will include a mini conference designed just for restaurant managers. When you purchase a ticket, you can sign up for workshops, discussions and lecturers. Those events will tackle topics like human resource management, business ethics and how to make your restaurant more profitable. The conference even has its own on-site bar where you can grab a drink or meal and mingle with other managers. Head to the Javits Center on March 5-7, 2017 to attend The International Restaurant and Foodservice Show of New York. More than 16,000 people attend this show to learn more about culinary trends and to pick up tips from experts. It will include a forum that lets you ask professionals questions about food techniques and similar subjects as well as a competition that lets top pastry chefs battle against each other. This show also plans to offer a Taste of NY that lets guests sample beverages made in the state and a gallery area filled with new restaurant and food products. If you want to find out more about products that can help your restaurant grow, consider attending the Hotel Motel Restaurant Association Trade Show. This trade show takes place in Ocean City, Maryland every year. The 2017 trade show will take place on March 5-6 at the Ocean City Convention Center. It usually boasts around 400 exhibitors and more than 5,000 guests. You can find suppliers selling everything from linens for your tables and uniforms for your chefs to restaurant equipment and safety gear. Some exhibitors can even fill your order on the spot. Restaurant managers are responsible for the daily operations of their restaurants. This may include training workers, hiring new staff, ordering supplies and handling complaints from customers. 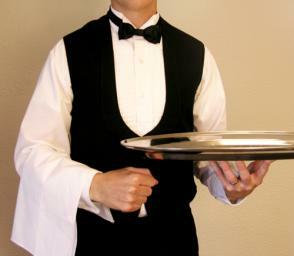 You can pick up tips and learn more about all the duties you perform on the job at the top restaurant management conferences.